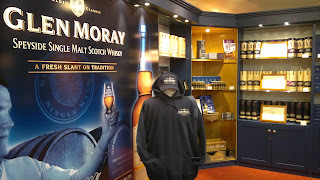 At this time of year Glen Moray has limited tours and nothing at the weekend, so we dropped by briefly before heading elsewhere; after all this is the heartland of whisky country. 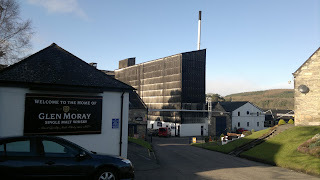 This isn't the most picturesque of distilleries and is dominated by a blackened structure. However the descent is memorable as you drive through houses and all of a sudden you're heading down towards the distillery. Set in Elgin, it's an ideal stopping point between Benromach Distillery and the only other valid reason for a whisky lover to visit Elgin, yes, that'll be the Gordon & MacPhail shop.However it's a distillery I will be experiencing in due course, as I'm often in the area. In the meantime you can view my limited photos right here. 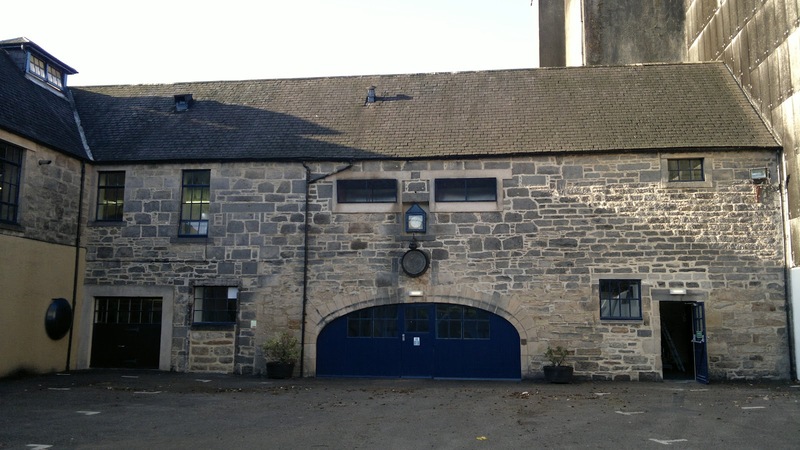 Coming up soon we'll have a more detailed look at the Glen Grant Distillery tour. 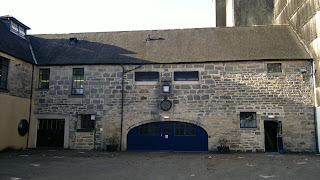 Also some snaps of The Glenlivet and Macallan, and one of the most enjoyable visits; the Speyside Cooperage.